The idea for this paper came, as these things often do, in a bar. The interesting twist was that instead of being an inebriated patron, I was actually working behind the bar observing the scenes of intoxicated students with a bemused expression. What began as a joke shared with a colleague, comparing the sights of drunken debauchery with the images of rowdy Viking drinking depicted in the Old Norse sagas, eventually developed into a more serious consideration and long-term reflection of the observable similarities in drinking culture. Although the ethnographic parallels drawn in this paper have been deliberately broad, it has been possible to identify a range of similarities in the context of alcohol consumption. These include similarities in social practices, communal usage of material culture, the development of group identities and the identification of hierarchies and ideologies of control within groups. This paper considers the role of alcohol consumption and drinking rituals in Viking Age North-western Europe and makes an ethnographic comparison to modern British university sports team drinking culture. The study is based on general observations, made in an ad hoc fashion over several years, and is underpinned more broadly by the author’s own student experience. Such an approach is primarily intended to highlight broad similarities between past and present attitudes towards drinking. In doing so, it is in a vein with other experimental archaeological approaches where bringing the past to life is seen as a worthy endeavour. Understanding the past with reference to the present is an important manner in which to affect greater interest with the discipline, particularly in terms of public engagement. The line taken in this paper, then, whilst being unconventional, emphasises the importance of taking a long view of the past for the realisation of its relevance to the present. In service of wider audiences it is argued that archaeological dialogues might, on occasion, benefit from attempts at a more entertaining, relevant and humorous approach. The consumption of alcohol is a central theme in documentary accounts of the Viking world, and other cultures of the North Sea region, during the first millennium AD (Enright 1995; Hedeager 2002, 6). Excavated archaeological evidence corroborates this, ranging from the finding of drinking vessels in both funerary and mortuary contexts and the tantalising but understudied prospect of identifying brew houses (Larsson 2002, 27; Skre 2007, 235; Leahy 2011, 449; Dineley and Dineley 2013). Figural depictions of drinking and drinking horns on Viking-period sculpture, such as the Gotland picture stones, also serve as important attestations of the significance of alcohol consumption to the peoples of the north (Helmbrecht 2012, 87-8; Fig 1. Gotland picture stone). Even a brief perusal of the scholarly literature demonstrates the level of interest in studying Viking-period alcohol production and consumption (e.g. Enright 1995; Pollington 2011; Dinely and Dinely 2013), and, indeed, our contemporary fascination with this aspect of modern cultures (e.g. Gefou-Madianou 1992; Heath 1995; Wilson 2005)(See Figure 1). Studies of alcohol production and consumption have developed considerably in recent years and now constitute a significant avenue of anthropological, ethnographic and archaeological research across the world (Arnold 1999; Arthur 2003; Jennings et al 2005; Dietler 2006, 230, 232; McGovern 2009). Studying alcohol with reference to ethnographic and anthropological parallel aids the study of its important role in socio-political, economic and spiritual practice (Dietler 1990, 352). Indeed, the private, solitary drinking of alcohol is a relatively modern phenomenon in Western Europe, and there is no reason to believe that drinking was thought of as anything other than a distinctly social activity in the past. Accordingly, it can be seen as being ‘intimately woven into the fabric of the social order’, and would have had cultural and emotional ramifications (Dietler 1990, 360-1). The corollary of these points is that the study of alcohol, both in past and present contexts, is a worthwhile and productive endeavour for furthering our understanding of the social experience of a culture. In modern Britain, as in many places of the world, the consumption of alcohol is widely seen as an important part of university culture. Young adults generally find themselves living away from home for the first time and many choose to live a bit of a revelrous lifestyle. This often entails prolonged and repeated bouts of alcohol consumption in private residences, pubs and clubs. In such a context, alcohol ‘lubricates social exchanges and contributes to a joy in being alive’, which can be viewed as an important catalyst for the forging of new friendships (McGovern 2009, xi). Such a culture frequently gets portrayed in a negative light in the press, primarily due to worries over people’s actions whilst inebriated, concerns regarding public health and fears of a perceived erosion of the social fabric of Britain (Woods 2008; Hill 2009; Mail 2010; Brown 2013). Instead of lambasting cheaper alcohol and blaming the influence of the media, though, perhaps we should turn to historical processes to explain the phenomenon. Could the situation of university students in alcohol-fuelled attempts to make new friends in a new city be compared to the migrations of Europe in the first millennium AD? Can a university sports team initiating new members and celebrating a sporting triumph be likened to a Viking warband, returning from a successful raid? Such comparisons might seem preposterous at first but this paper will demonstrate that the use of ethnographic parallels, supported by archaeological and documentary sources, can provide interesting insights into both past and present relationships towards alcohol. Ethnographic comparison has been drawn from long-term, generalist and non-specific experiences of British university student life, particularly in terms of sports team drinking cultures. As such, it does not look at specific individuals or institutions but considers broader themes and observations. The study is, in effect, a general ethnographic comparison, informed more broadly by my own student experiences both in front, and behind, the bar. Ethnography can be difficult to define due to its theoretical diversity, methodological variability and significant overlaps with other avenues of social research (Hammersley and Atkinson, 1995, 1; Hammersley 1998, 1; 19). For the purposes of this paper I would define ethnography, and its comparison with historical and archaeological evidence, as the process of drawing parallels between modern and past cultures, although this should be seen as a two-way process where knowledge about one can inform the other, and vice versa. In short, it is using what is known to gauge the unknown. In this sense, ethnographic comparison – or ethnoarchaeology – is akin to experimental archaeology because it tries to test archaeological hypotheses and understand past practice through the study of modern culture and its material consequences (Stiles 1977, 87; O’Connell 1995, 205). Whilst not being reconstructive archaeology per se, there are clear theoretical and methodological similarities, and there is certainly no harm in using comparative analysis to generate questions and inform debate (Gould 1978, 293). Moreover, the combination of ethnographic observation and archaeological reconstruction should be considered as having paramount importance for connecting the past to the present (Tringham 1978, 186). There is, however, no clear consensus on the usefulness of ethnographic comparison in furthering archaeological understanding. Peter Ucko (1969, 262) has argued that its primary function is to ‘widen the horizons of the interpreter’ and, in doing so, encourage variety in interpretation. This is not to suggest that comparative analysis should be viewed in isolation to other research, though, but as an important avenue in which to ask questions and postulate hypotheses for further investigation (Binford 1967, 1). An additional benefit of ethnographic studies is their ability to heighten our appreciation of the variation and nuances of physical and cultural processes (Hayashida 2008, 162). By studying both past and present cultures in a comparative and reflective manner, we are able to identify new phenomena and observe long-term historical trajectories in a way that might not be possible through a purely archaeological or historical study. Any approach is not without associated issues, though, and the most obvious with regard to ethnographic comparison is how no two cultures, either past or present, are identical. Furthermore, ethnography is not in a position to inform us about that which has no parallel in the modern world (Gould 1978, 254). As such, Chris Gosden (1999, 9) has argued that ‘ethnoarchaeology is immoral, in that we have no justification for using the present of one society simply to interpret the past of another’, and has even gone as far to claim that ‘Societies ought to be studied as interesting in their own right or not at all’. It goes without saying that comparison must always be provisional, broad and inexact; but to disregard such studies as immoral seems excessive. I would not suggest that objectivity isn’t important when considering the past, although I am of the opinion that subjectivity unavoidably permeates all endeavours, but if one subscribes to the view that the past should only be understood in its own terms then wider applications of knowledge are restrained. It seems a shame to discredit attempts at making the past more relevant to the present, especially when the subjective and qualitative aspects of doing so are fully acknowledged. There is no reason why ethnographic comparisons cannot coexist alongside other studies, and they may even aid them through increases in interest, participation and understanding of the past (David and Kramer 2001, 419-20). Drawing parallels between two cultures – in our example over a millennium apart – does not create observations that are valid in a strict, empirical sense. Unsurprisingly, this paper does not argue for explicit similarities, or even particular similarities, between Vikings and university students. What is noted, though, is that there are observable similarities in behaviour, and it is argued that the realisation and identification of such similarities is worthy of comment, if only for benefit of raising awareness of its relevance to the present. This is not a study of scientific testing but qualitative thinking: it is untestable, yes, but not without benefit. Viking Age feasting and drinking would often take place in the hall; large timber structures that were architecturally grand and which functioned as the central hub of social and political life (Hedeager 2002, 6-7; Fig 2. The ‘Great Hall’ at Lejre, Denmark). In terms of origins, it has been argued that these buildings developed from the egalitarian Iron Age village system of Northern Europe and the Roman Basilicae of Southern and Western Europe (Herschend 1998, 16-17; Hills 1998, 302; 305; Herschend 2009, 251-2). By the Migration and Viking periods (circa AD 400-1000), halls had become established as the central institution of elite life and functioned as places of socio-political interaction, justice administration, gift-giving, feasting and, most importantly for our current purposes, drinking (Earl 1994, 100; 10; Enright 1995, 17; Webster 1998, 185). As places of both routine and ceremonial drinking, they can be seen as a key arena for the construction, development and performance of identities (Dietler 2006, 235). That feasting and drinking took place in these structures is archaeologically attested by the presence of drinking vessels and zooarchaeological evidence from excavated examples, but is also historically attested from documentary evidence that paints a vivid picture of life at the hall. Examples of the former, and quotations from the latter, will be used to frame the following ethnographic considerations (See Figure 2). The thanes united, the nation alert, the troop having drunk at my table, will do as I bid. The hall-owner was an individual of importance, who commanded the loyalty of his followers through the accumulation and distribution of wealth, the administration of fair justice and through displays of martial prowess on the battlefield (Hedeager 1992, 280-2). Through the communal act of drinking, elites would establish relationships, demarcate social boundaries and construct and develop identities (Dietler 2006, 235). Such societal figureheads can, albeit with an open mind, be likened to the committee members and organisers of university sports teams. It is generally the duty of the social secretary to organise social events for the club, which often involve, or are completely centred around, drinking. These individuals are mostly in control of the management of such events and therefore have autonomy over the social practices observed. Examples of this could be exercising choice over which drinking games are played, or deciding on the dress code. In some cases, even the alcoholic beverages consumed can be dictated, with a notable student preference for ‘snakebite’ – a mixture of lager, cider and blackcurrant cordial which can often be found at a reduced price in student bars on Wednesdays (the traditional day for university sport). The organisers of social events can also administer a light-hearted form of social justice in the form of enforced drinking for latecomers. Furthermore, the internal social hierarchy of a sports team can be curiously well-defined, and it is not uncommon to make the newer members ‘do as you bid’ by requesting they pour or collect drinks for the older members. Such power relationships are perhaps best evidenced by the initiation rites of sports teams, which usually involve considerable alcohol consumption and the initiate undertaking tasks designed to prove their worth to the group. they drank and chatted till the day was ended. The poem tells us that the drinking vessels used during alcohol consumption were important signifiers of group identity and social status. Such a concept is not unlike our ethnographic parallel, though, and there does seem to be a detectable desire to reinforce group identity in British university sports team drinking culture. I have observed student bars that have particular glasses for particular clubs in a similar way that the frequent patron of a country pub might have their own glass behind the bar (Fig 3. A comparison of glasses). The sports teams that have their own set of glasses are subconsciously, or perhaps consciously, fostering a sense of group identity through the collective use of material culture. 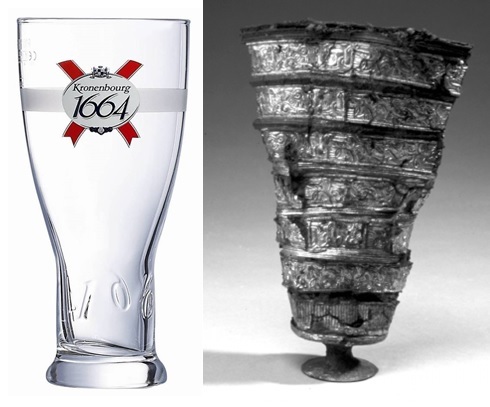 Furthermore, just as the Uppåkra beaker pictured below may have been reserved for a person of particularly high status, many sports teams have a trophy cup or tankard, which is presented to a particular member for a specific achievement, such as ‘player of the year’, for example. It seems apparent, then, that the manner in which we think about the historical and archaeological past is in some way applicable to modern ethnographic examples (See Figure 3). There on the bench was easily seen over the noblemen the high battle-helmet, the ringed byrnie, the mighty wooden spear. Much like at the Viking Age hall, where one would have dressed in fine clothing and armour befitting of rank and social status, university sports teams tend to have a dress code. Just as it would be expected that a man wear his best armour and arms in Viking times, sporting men at universities are often expected to wear smart shirts, trousers, shoes and a club necktie. The concept of a club necktie is very interesting from an archaeological perspective, for it is a garment that signifies membership of a particular group through a unique design, which often has a heraldic-style crest. Likewise, women often have ‘social shirts’ with their name, club name, nickname and club crest printed on them. These garments, both the club neckties and the social shirts, exist solely to mark an individual as a club member; they are overt social statements. Not only are they powerful evidence of modern-day portable material culture being used to express group identity at a low level, they also attest a longing to be seen as part of a wider sporting network and, indeed, the university itself. So much so that one can walk into a student bar on a Wednesday night and be able to be able to tell which club (and by proxy, which university) a student is representing without even talking to them. If we were to liken such a scene to a gathering of Viking warbands at the hall, or an assembly of courtiers in a medieval palace, it becomes apparent that reinforcing a sense of group identity, belonging and social status through displays of material culture and the presentation of the body is an archaeological concept which is just as applicable to many aspects of modern life. From this horn it is considered to be well drunk if it is drained in one draught, but some people drain it in two draughts. But no one is such a poor drinker that it is not emptied in three. (Prose Edda, translated by Faulkes 1987, 42). Even if recorded in a mythological account, the study of myth is paradoxically also the investigation of reality, for myths are not simply created without any basis in the human world (Hines 2003, 19). In this sense, then, it can be suggested that the ability to consume large amounts of alcohol in a short period of time was a social feat respected amongst the Vikings just as it is in our ethnographic parallel. Drinking games often revolve around the ‘downing’ of drinks – finishing them at a rapid and competitive pace. Those with the most influence and power within the club, such as the committee or senior members, are able to decide which games are played, and also might take an active role in administration of punishments or rewards. The individual who has scored the highest number of goals, for example, might be made to drink a ‘reward’ drink. Similarly, poor performers might be made to consume a ‘penalty’ drink. One particularly striking example of a drinking game is known as ‘shoe’, which involves the pouring of an individual’s drink into their own shoe. The shoe then acts as the individual’s drinking vessel for the rest of the evening, as punishment for some wrongdoing or social deviancy within the club. It is perhaps not a vast leap of imagination to see post-raid Viking feasts in similar terms, where the hall owner might reward his best warriors and humiliate those who performed to a lesser extent. It would have been a time of games, gift-giving, singing and the recounting of tales about the raid. Such social activities would strengthen collective identity and increase the enjoyment gained from drinking. Legitimising status and identity through alcohol-related social practice, therefore, is not a new phenomenon, and is applicable to both our past and present considerations. Although the ethnographic parallels drawn in this paper have been deliberately broad, it has been possible to identify a range of similarities in the context of alcohol consumption. These include similarities in social practices, communal usage of material culture, the development of group identities and the identification of hierarchies and ideologies of control within groups. The historical contexts are, of course, fundamentally and completely different, and it could be tempting to disregard this study as a folly of an exercise, but the study of alcohol is of paramount importance for understanding the social processes and development of human cultures in both the modern and ancient worlds (Dietler 2006, 232; McGovern 2009, xii). Moreover, the ethnographic methodology employed in this study, whilst being unconventional by academic traditions, is not without benefit. Naturally, the conclusions arrived at are qualitative, subjective and provisional, but the utilisation of modern analogy contributes a sense of relevancy and encourages a deeper engagement with the past. Such a study lends itself well to public engagement, particularly when one considers how important alcohol is in many aspects of modern human culture. It must, of course, be remembered that excessive drinking, like almost everything taken to excess, can have seriously negative effects on one’s health. It is, however, curiously reassuring that, when one considers the longue durée, it is possible to observe a broad pattern of alcohol production, consumption and enjoyment, which corresponds in many ways to our own, across North-western Europe in the first millennium AD. If one looks even deeper into the past it is also possible to identify human relationships with alcohol that span millennia (McGover 2009). The essential point to be made, though, is that the past and present aren’t always as different as they might seem at first, and if it takes an unusual comparison to highlight this, then so be it. If nothing else, such attempts are at least in the spirit of the experimental approach, and should hopefully be welcomed by experimental archaeologists. Matt Austin - PhD student, Department of Archaeology, School of Archaeology, Geography and Environmental Sciences, University of Reading. ARNOLD, B., 1999. “Drinking the feast”: alcohol and the legitimation of power in Celtic Europe. Cambridge Archaeological Journal, 9(1). pp.71-93. ARTHUR, J.W., 2003. Brewing beer: status, wealth and ceramic use alteration among the Gamo of south-western Ethiopia. World Archaeology, 34(3). pp.516–28. BINFORD, L.R., 1967. Smudge Pits and Hide Smoking: The Use of Analogy in Archaeological Reasoning. American Antiquity, 32(1). pp.1-12. CHASE, C., ed., 1997. The Dating of Beowulf. Toronto: University of Toronto Press. CHRISTENSEN, T., 1991. Lejre Beyond Legend – The Archaeological Evidence. Journal of Danish Archaeology, 10, pp.163-85. DAVID, N. and KRAMER, C., 2001. Ethnoarchaeology in Action. Cambridge: Cambridge University Press. DIETLER, M., 1990. Driven by Drink: The Role of Drinking in the Politcal Economy and the Case of Early Iron Age France. Journal of Anthropological Archaeology, 9. pp.352-406. DIETLER, M., 2006. Alcohol: Anthropological/archaeological perspectives. Annual Review of Anthropology, 35. pp.229-49. DINELEY, M. and DINELEY, G., 2013. Where were the Viking brew houses?. EXARC Journal, 2(2). DRONKE, U., 1993. The contribution of Eddic studies. In: A. Faulkes and R. Perkins, eds. Viking Revaluations. London: Viking Society for Northern Research. pp.121-7. EARL, J.W., 1994. Thinking about Beowulf. Stanford, California: Stanford University Press. ENRIGHT, M.J., 1995. Lady With a Mead Cup: Ritual, Prophecy and Lordship in the European Warband from La Tene to the Viking Age. Dublin: Four Courts Press. GEFOU-MADIANOU, D., ed., 1992. Alcohol, Gender and Culture. London: Routledge. GOSDEN, C., 1999. Anthropology & Archaeology: A changing relationship. London: Routledge. GOULD, R.A., 1978. Beyond Analogy in Ethnoarchaeology. In: R.A. Gould, ed. Explorations in Ethnoarchaeology. Albuquerque: Univeristy of New Mexico Press. pp.249-95. HAMMERSLEY, M., 1998. Reading Ethnographic Research: A Critical Guide. 2nd ed. New York: Addison Wesley Longman. HAMMERSLEY, M. and Atkinson, P., 1995. Ethnography: Principles in Practice. London: Routledge. HAYASHIDA, F.M., 2008. Ancient beer and modern brewers: Ethnoarchaeological observations of chicha production in two regions of the North Coast of Peru. Journal of Anthropological Archaeology, 27. pp.161-74. HEATH, D.B. ed., 1995. International Handbook on Alcohol and Culture. Westport: Greenwood Press. HEDEAGER, L, 1992. Kingdoms, Ethnicity and Material Culture: Denmark in a European Perspective. In: M.O.H. Carver, ed. The Age of Sutton Hoo: The Seventh Century in North-western Europe. Suffolk: The Boydell Press. pp.279-300. HEDEAGER, L, 2002. Scandinavian ‘Central Places’ in a Cosmological Setting. In: B. Hårdh and L. Larsson, eds. Central Places in the Migration and Merovingian Periods. Stockholm: Almqvist and Wiksell International. pp.3-18. HEADEAGER, L., 2011. Iron Age Myth and Materiality: An Archaeology of Scandinavia AD 400-1000. London: Routledge. HELMBRECHT, M., 2012. “A Man’s World”. The Imagery of the Group C and D Picture Stones. In: Karnell, M., H., ed. 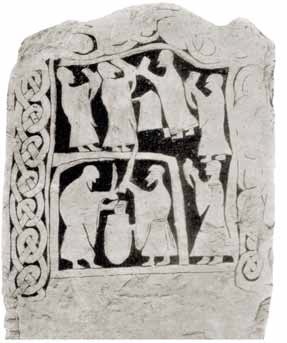 Gotland’s Picture Stones: Bearers of an Enigmatic Legacy. Visby: Gotland Museum. pp.83-90. HERSCHEND, F., 1998. The Idea of the Good in Late Iron Age Society. Uppsala; OPIA. HERSCHEND, F., 2009. The Early Iron Age in South Scandinavia: Social Order in Settlement and Landscape. Uppsala, Sweden: Uppsala University Press. HILLS, C.M., 1998. Beowulf and Archaeology. In: R.E. Bjork and J.D. Niles, eds. A Beowulf Handbook. Exeter: University of Exeter Press. pp.291-310. HINES, J., 2003. Myth and Reality: the Contribution of Archaeology. In: M.C. Ross, ed. Old Norse Myths, Literature and Society. Odense: University Press of Southern Denmark. pp.19-39. JENNINGS, J., ANTROBUS, K.L., ATENCIO, S.J., GLAVICH, E., JOHNSON, R., LOFFLER, G. and LUU, C., 2005. “Drinking beer in a blissful mood”: alcohol production, operational chains, and feasting in the ancient world. Current Anthropology, 46(2). pp.275-304. LARSSON, L., 2002. Uppåkra – Research on a Central Place. Recent Excavations and Results. In: B. Hårdh and L. Larsson, eds. Central Places in the Migration and Merovingian Periods. Stockholm: Almqvist and Wiksell International. pp.19-30. LEAHY, K., 2011. Anglo-Saxon Crafts. In: H. Hamerow, D.A. Hinton and S. Crawford, eds. The Oxford Handbook of Anglo-Saxon Archaeology. Oxford: Oxford University Press. pp.440-59. MCGOVERN, P.E., 2009. Uncorking the Past: The Quest for Wine, Beer and Other Alcoholic Beverages. London: University of California Press. O’CONNELL, J.F., 1995. Ethnoarchaeology Needs a General Theory of Behaviour. Journal of Archaeological Research, 3(3). pp.205-55. POLLINGTON, S., 2011. The mead-hall community. Journal of Medieval History, 37(1). pp.19-33. SKRE, D., 2007. Excavations of the Hall at Huseby. In: D. Skre, ed. Kaupang in Skiringssal, Volume I. Oslo: Aarhus University Press. pp.223-47. SØRENSEN, P.M., 1993. Historical reality and literary form. In: A. Faulkes and R. Perkins, eds. Viking Revaluations. London: Viking Society for Northern Research. pp.172-81. STILES, D., 1977. Ethnoarchaeology: A Discussion of Methods and Applications. Man, 12(1). pp.87-103. TRINGHAM, R., 1978. Experimentation, Ethnoarchaeology, and the Leapfrogs in Archaeological Methodology. In: R.A. Gould, ed. Explorations in Ethnoarchaeology. Albuquerque: Univeristy of New Mexico Press. pp.169-99. UCKO, P.J., 1969. Ethnography and archaeological interpretation of human remains. World Archaeology, 1(2). pp.262-80. WEBSTER, L., 1998. Archaeology and Beowulf. In: B. Mitchell and F.C. Robinson, eds. Beowulf: an edition with relevant shorter texts. Oxford: Blackwell. pp.183-195. WILSON, T.M., ed., 2005. Drinking Cultures: Alcohol and Identity. New York: Berg. FAULKES, A (trans.). 1987. Edda. London: Everyman. HOLLANDER, L.M. (trans.). 1990. The Poetic Edda. 2nd ed. Austin, Texas: University of Texas Press. LIUZZA, R.M. (trans.). 2000. Beowulf: A New Verse Translation. Hertfordshire: Broadway Literary Texts.